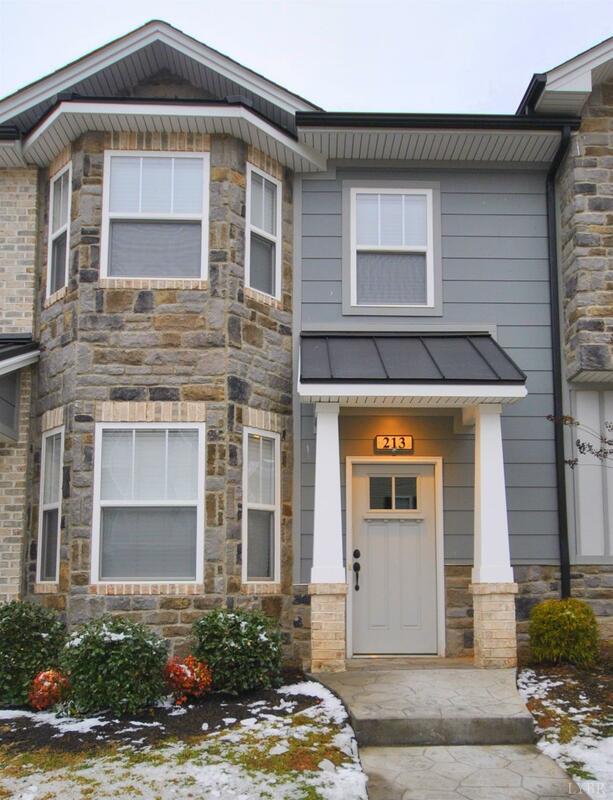 First time home-buyers, professionals, empty nesters, or investors looking for an extremely well maintained, move in ready home, don't miss this 3 bed/2.5 bath luxury townhome in Cornerstone! Freshly painted with main level open floor plan and upgraded stone accent wall around fireplace, hardwood laminate flooring, granite tops and stainless steel appliances in kitchen to include a brand new smooth top range (2019). Granite tops, tile floors and oil rubbed bronze hardware in bathrooms, master bath with double bowl vanity and tile backsplash. Conveniently located laundry room with washer and dryer convey. Covered back patio, unfinished storage closet and designated parking spots with extra common area parking available. Many Cornerstone amenities available, walking distance to shops and restaurants, less then 10 minutes drive to Liberty University and also direct bus line from Cornerstone to LU.